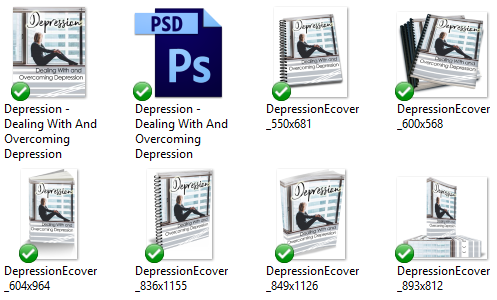 In this White Label Depression Content bundle – articles, a report compiled of the articles, keywords, and royalty free images, you’ll be able to give your audience an ideas on how to understand depression. As sometimes depression is subtle, and sometimes it can be in your face. Though it’s very difficult, yet, depression is very treatable. Help educate your audience how to cope with it and know the different types of depression. 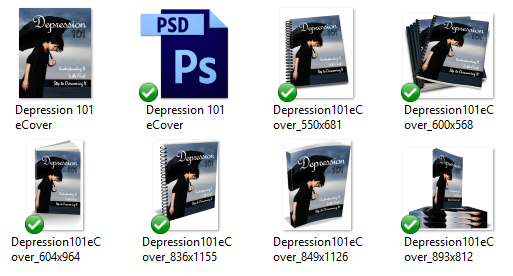 This bundle will help you inform the causes and what triggers of depression. Don’t just admit with it, fight it, and overcome it. White Label Depression Content bundle will help you bring in traffic and readers to your blog because you’ll be talking about topics that people are searching for – what to do with depression and how to fix it. People would love to know how to deal with depression so they can enjoy life. Let them have options of treatment for depression. Having depression is not easy. They need a site that talks about coping and facing it. They can use this information to really start to live life in happiness. 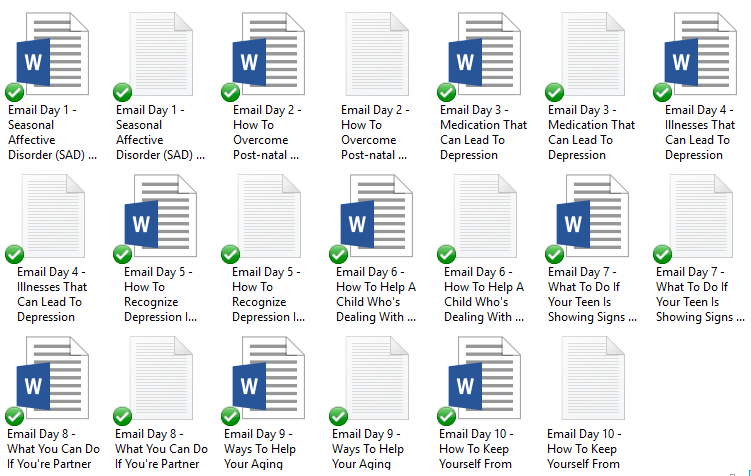 The White Label Depression Content bundle will help you teach your audience about how to solve depression! 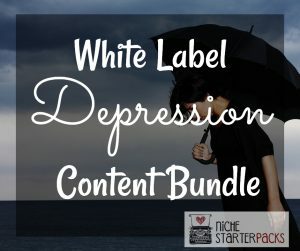 White Label Depression Content bundle (Articles, Report, Royalty Free Images, eCourse, Keywords) – Get It All For $37! 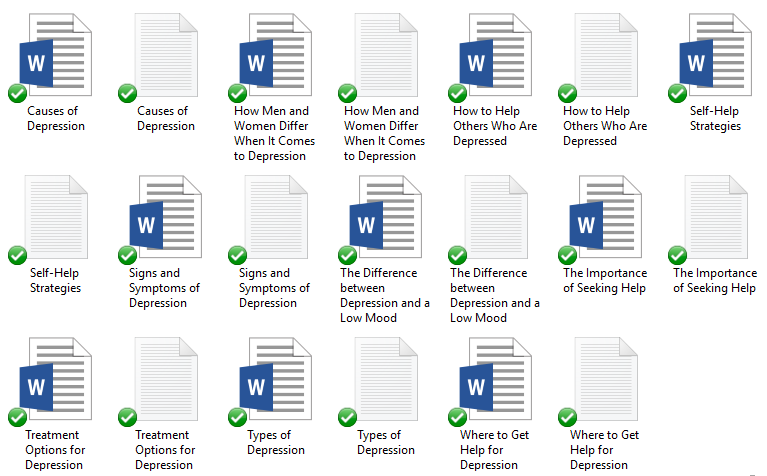 You’ll get a 21-Page report all about depression. This is a great opt-in because it talks about understanding depression. 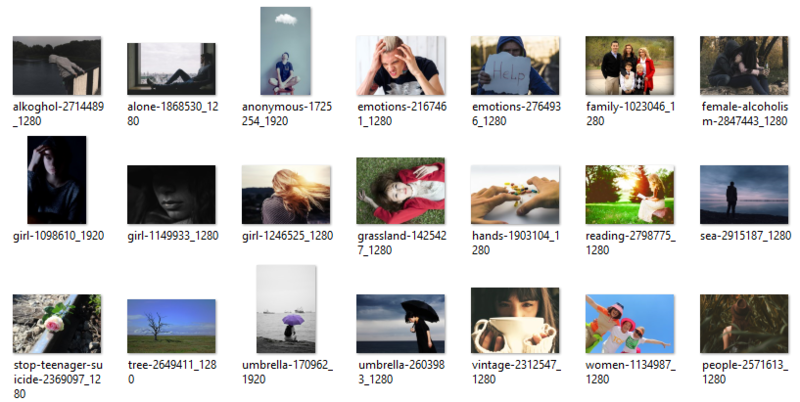 I’ve come up with 200 long tail keywords all related to depression, finding help to solve it. You’ll find some of these are what people like to call low-hanging fruit keywords while others have more searches.